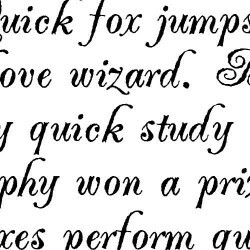 Elegant ballet slippers make up the body of each letter. Perfect for the dancer in the family!.. 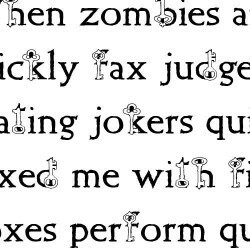 Download this amusing journaling font. 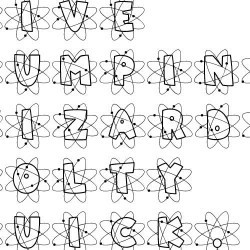 Perfect for your next scrapbook page, greetintg card, flyer, ..
With all those electrons buzzing around these letters, how can they concentrate? These are perfect .. 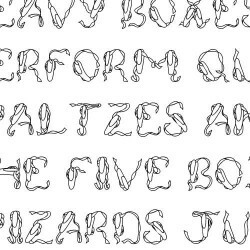 This stylish fonts has that ornamental curly look. It would be excellent for the formal scrapbook la.. 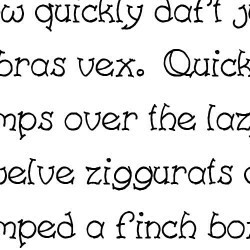 The letters of this font appear to have been made by artist brush strokes. You will love it!.. 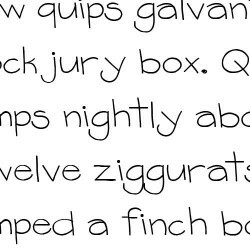 This all caps handwritten style font looks like the type an architect would use for notes on a sche..
Each letter of this alphabet is nestled inside a bushel of apples. 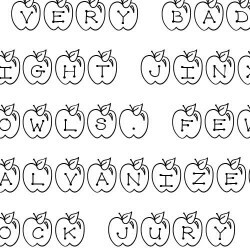 It's perfect for that autumn or h..
Polish up your project with a delightful font that's anything but fruity. Here's a great selection f.. 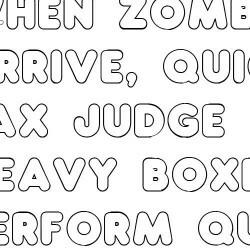 This is the perfect font for the hunter and/or outdoor enthusiast in your life. Antlers adorn the up.. 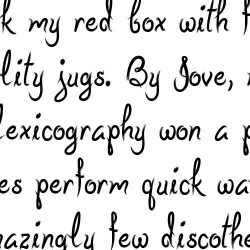 This is a unique swirly style font. 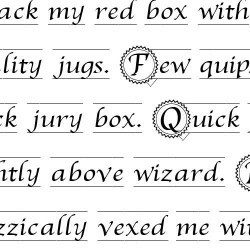 It is excellent for formal announcement etc. The capital lette.. 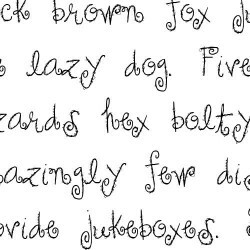 These "angelic" letters have squiggles and curls. 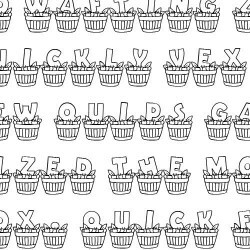 Download this cool font when you need whimsical le..